I.M. Hartsough was one of the first women to be called to serve on a criminal or “petit” jury in Wyoming to try Andrew Howie for the murder of John Hoctor. The jury voted unanimously to convict Howie. Wyoming has long enjoyed a series of “firsts.” In early 1870, Laramie’s judges called for female jurors. The women who served on the grand jury and trial jury were selected less than six months after Wyoming’s first territorial legislature granted women equal political rights. 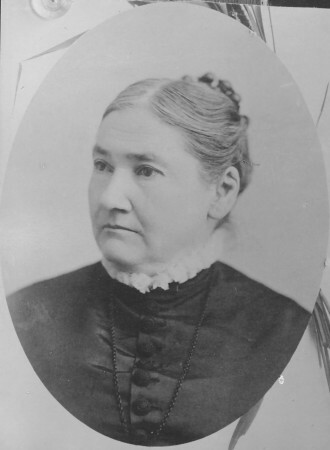 In March of 1870, Eliza Stewart Boyd’s name was the first female’s to be drawn from the voters’ roll to serve on the grand jury that would convene later that month. Soon after, five other Laramie women made history, becoming the first women in the world to serve on a trial jur. They included Mrs. Amelia Hatcher, Mrs. G.F. Hilton, Mrs. Mary Mackell and Agnes Chase Baker. There was quite an uproar against female juries as they tended to be very conservative and sentenced men to long incarcerations and even hangings.